The Mars Exploration Rover mission is part of NASA's Mars Exploration Program, a long-term effort of robotic exploration of the red planet. 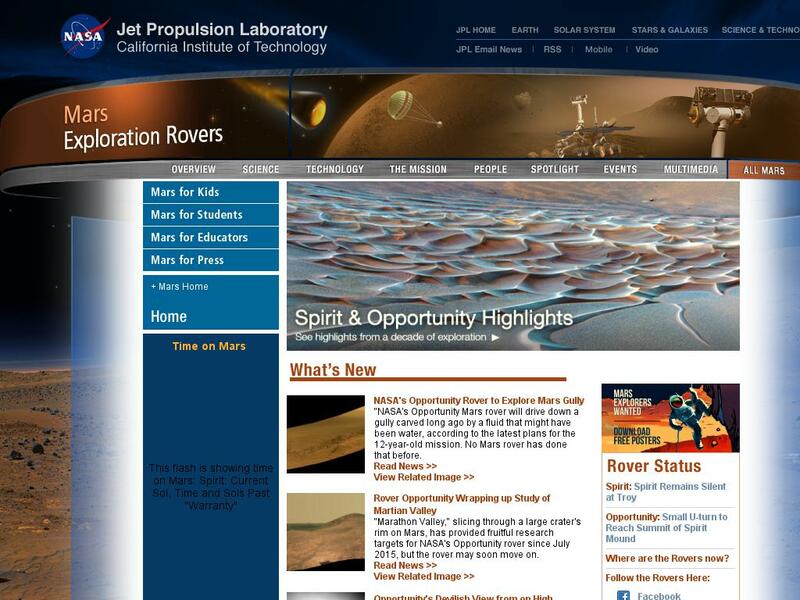 The web site includes updates about the rovers Spirit and Opportunity, as well as links for kids, students, educators, and the press. It features up-to-date images and news articles.